Does the business resort to manual processes even though they have a system that will perform the same functions automatically? Does your technology meet the needs of the business to provide growth? Does IT and the business get along? Is innovation a word that sounds expensive? In many companies, the business and IT are disjointed. Please join us on Tuesday, Oct 10th as Lisa J. Marie will provide insight on how there should not be any IT projects, but only business projects that IT needs to align to. · Why having a business strategy is critical? · Aligning business strategy with IT and Innovation of systems. · How to implement strategic initiatives successfully. · What is the people aspect of Business Transformation regarding strategy? Lisa J. Marie is the founder and President of Summit Transformation Solutions (STS). STS offers Strategy, Business Transformation, Project Management Office Solutions, Vendor Management, and Implementation Services to small, mid-market, and enterprise companies who have critical IT and business initiatives but at a lower investment threshold. 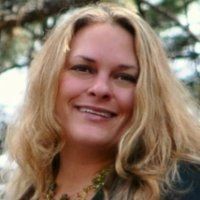 With over 18 years of experience, Lisa’s background includes leading successful global and domestic initiatives for high-profile companies in many industries that includes financial, healthcare, retail, travel, telecommunications, insurance, and more. Lisa has a passion for building strong, successful teams that maximize benefits and creates a return on investment to a client’s organization.